At Magnificent Morocco, we’re passionate about our country and wish to share that passion with you. And the best way to discover Morocco is with a team that takes pride in its professionalism. Moroccan hospitality is legendary. From the point of enquiry to your point of departure, we aim to make everything easy for you – and ensure that your adventure and tour with us is a happy and memorable experience. From our office in Marrakech, we can deal with your enquiries swiftly and effectively. We’re “on the ground” and have first hand knowledge at our fingertips about any aspect of the tour you may be considering. 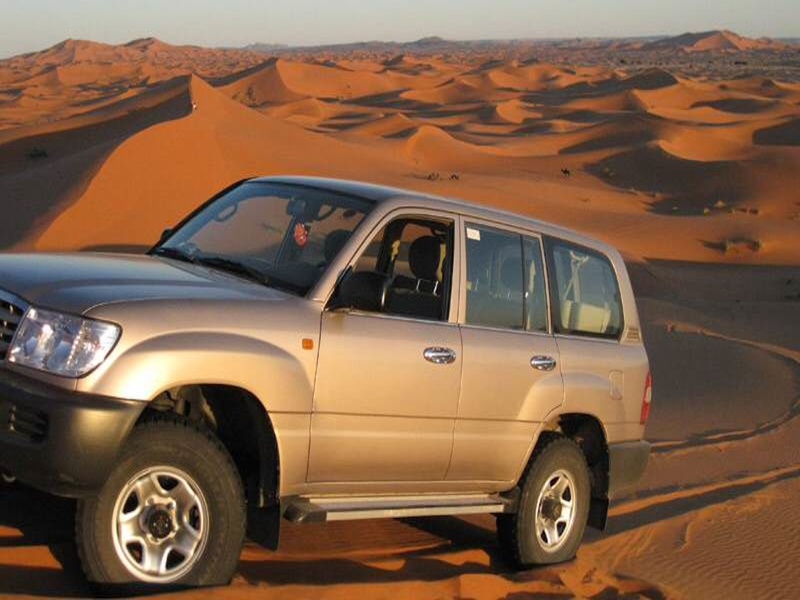 With a modern fleet of air-conditioned 4x4s and people carriers, you will enjoy Morocco’s dramatic scenery in the safe hands of our professional and multi-lingual drivers, some of whom will delight you with anecdotes about their ancestors who plied their trades with camel trains! Our guides have deep-rooted desert origins as well. The modern day sons and daughters of Berber tribes people are the most qualified – not only in Morocco but also the world - to accompany you while visiting locations of specific interest en route. It is their special passion – to share the landscapes, culture and intrigue of this fascinating country – that inspires every member of our team to take you beyond the adventure tour and into the world of magnificent Morocco.